Join us for a Twitter discussion about how technology can simplify your life when caring for a child, parent or other loved one. CareZone is a service that simplifies the lives of those caring for children, partners and aging parents. They provide a simple and entirely private environment where family and helpers can stay organized and coordinated. From your computer, smartphone or tablet you can safely organize files, contacts, and medications, and coordinate with family and other caregivers using a shared calendar and journal. CareZone is FREE to join and use. Simply sign up with your email address and password. Where do you store your children’s vital information (SSN, Blood Type, Allergies)? How do you share private information about your child or parent with family members? How do you coordinate with your spouse or babysitter around your child’s schedule? How do you use technology to simplify your life when it comes to caring for your child or parent? 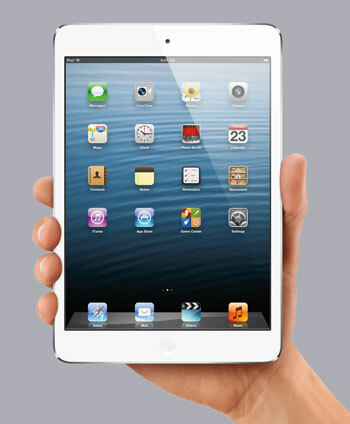 We'll also be giving away the ultimate tool for managing your CareZone account, an iPad Mini! We're giving away this iPad Mini (MSRP: $329) to one lucky #TechTea participant as well as four $25 iTunes gift cards to four other participants, courtesy of CareZone! RSVP by commenting below for a chance to win! Enter your name and Twitter handle. To be eligible to win you must RSVP and participate in the event using #techtea #carezone. We will randomly select five (5) winners from the entries. No purchase is necessary to win. Void where prohibited. U.S. residents only. Click here for the full rules. Looking forward to learning something new! Not that quick with twitter but I’ll try. Great topic I’m researching right now. Thanks for joining us! Would love to hear your thoughts and questions. yay!!! HOw exciting!! Looking forward to a tech talk!! RSVP @cammiLH .. Thank you! Can't wait for the chat! Can’t wait for the chat! Thank You for having this forum .